This statistic presents the online audience size in South Korea from 1999 to 2017. 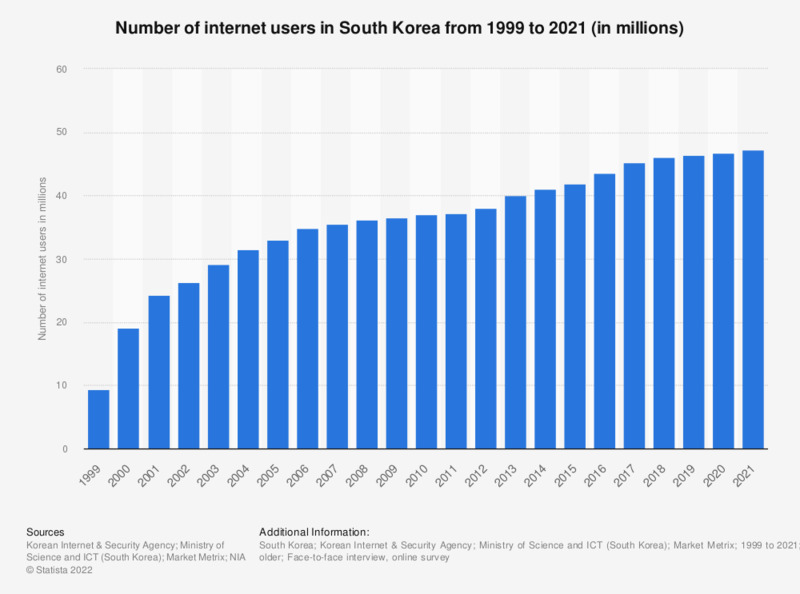 During the last reported period, it was found that there were 45.28 million internet users in South Korea, up from 43.64 million in the previous year. Since 2004, wireless Internet through mobile communication network has been included in the scope of Internet. Also the definition of Internet users has been changed from 'those who use the Internet at least once a month on average' to 'those who have used the Internet at least once in the last 1 month'.